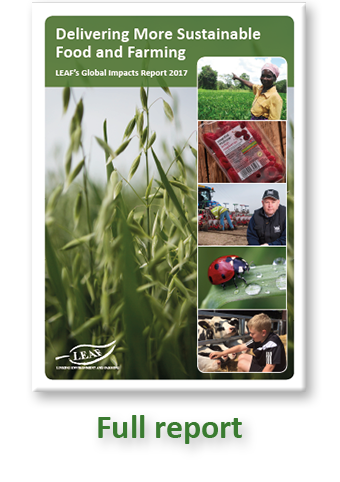 'Delivering More Sustainable Food And Farming: LEAF Global Impacts Report 2017' is based on data to the end of 2016. It is first and foremost, a celebration of the achievements of our members across the world and the positive impact they are making to deliver more sustainable farming through Integrated Farm Management. We are hugely proud of what they have achieved and congratulate them all. 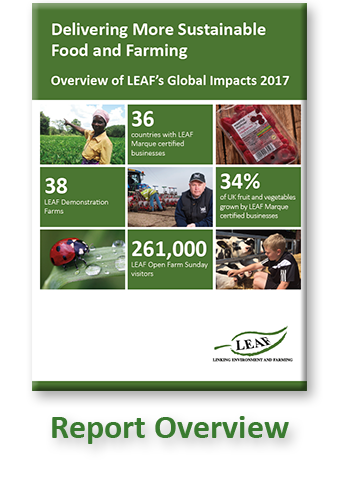 We would like to know what you think about LEAF's Global Impacts Report 2017. Your feedback is extremely valuable to us and will help us improve future editions as well as build upon our monitoring and evaluation activities. 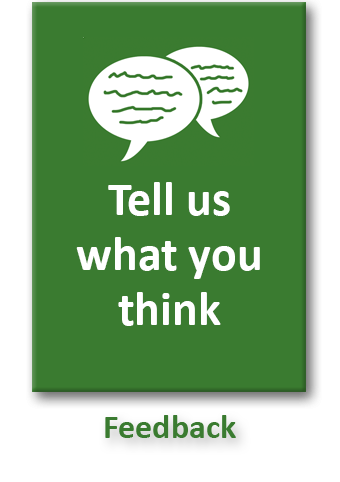 Please take a few minutes to complete our on-line evaluation questionnaire here. Thank you.